On Monday, this past week at the Coffee Hour in Manchester, a constituent asked a question related to a report that I wrote last year about Tim Walberg lying for years about his father being an immigrant. [link to report above]. Walberg addressed me several times in his response, even though I was not at the event. Walberg did not dispute the findings from my report [success!]. However, Walberg also failed to accept any responsibility for his lies from over the years [Boo]. In the conclusion to my original report, I alluded that, “There is more to this story”. The scope of that report was about Walberg’s contradictions, more than the story of his immigrant family. Now, in order to fully analyze Walberg’s response, this report will present their story in more detail than before. First, we will see Walberg’s full, unabridged response from Monday. 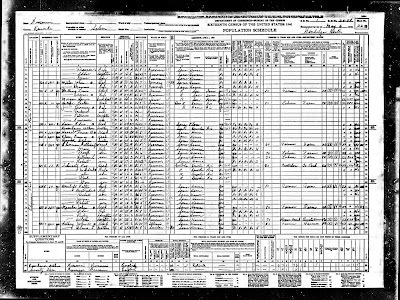 Then, I will analyze his response and present more public records about the story of Walberg’s immigrant family. As always, this report is entirely sourced from the public record, which I encourage readers to go and check for themselves. Walberg: “And you can thank Steven Meyers (sic) for doing that research. And some day, I’ll be able to thank him, because my statement was made on the fact that that’s what I believed, that’s what I had stated in front of my mother who never disabused me of that belief. 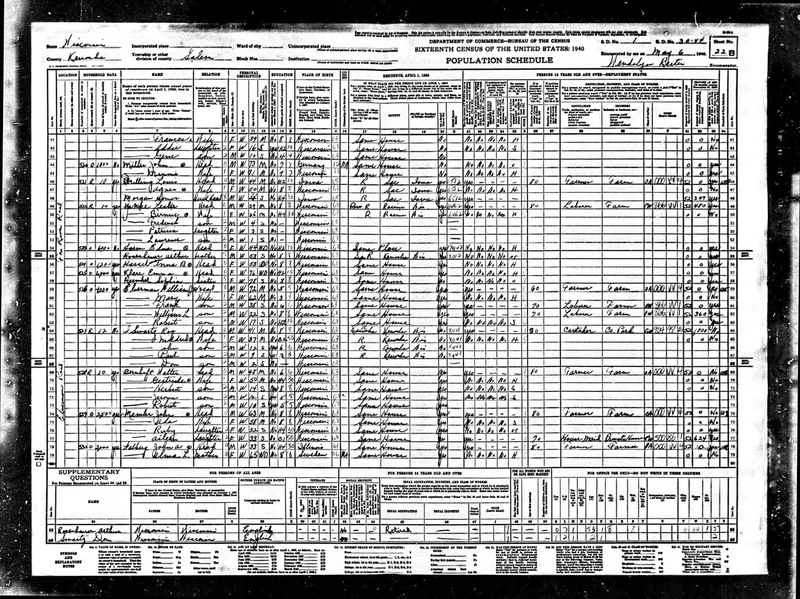 And I never did the research like Steven Meyers (sic) who spends his time, uh, checking on every word I say, and went back to 1920 Census, and now I have that information. So, I need to thank him and say, I know more about my family’s history than I ever knew before. This analysis mostly follows Walberg’s statements in the order that he made them. Walberg’s quotes are shown throughout in burgundy text. “thank Steven Meyers for doing that research”. - I, Steven Meyer, did not do that ancestry research. I wrote the report, but another constituent did the research on their own initiative, over several trips to a public library in our District, using ancestry services, and then shared those findings with me. There were a lot of records, so we spent weeks interpreting, and discussing them. I only showed two of the records in my report. I wanted to give credit to that constituent for their work, but they didn’t want credit for it. For this report, that constituent still wishes to not be identified. “And some day, I’ll be able to thank him”– Some day? Why not last month in Dexter? Walberg stood right next to me for that whole Coffee Hour. He didn’t make any motions akin to gratitude toward me then. 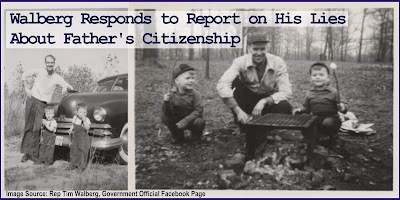 Walberg now claims that his “statement” about his father’s citizenship was based on his own belief, and that his mother “never disabused” him of it. It was not a single statement though. 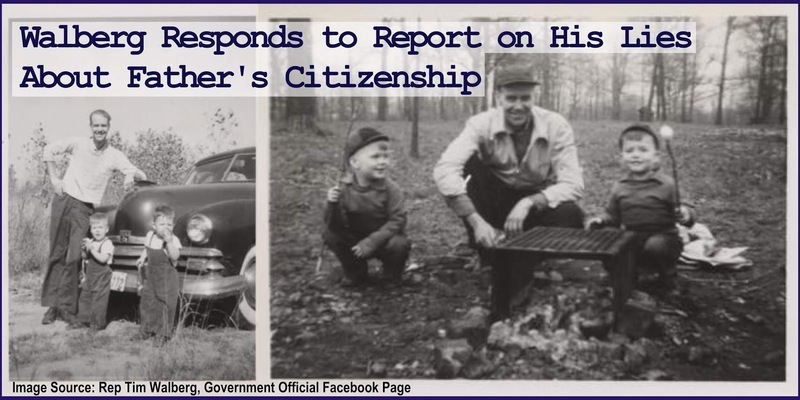 Walberg has told years of contradictory statements about his father’s citizenship. His contradictions are what initially sparked our suspicion to start looking into it. The most chilling part of Walberg’s response on Monday, was when he said, “that was what my family had led me to believe.” – Tim Walberg turned 68 years old this past week. He is a sitting US Congress member, and rather than accept responsibility for his own actions, he chooses to place the blame on his family. To now allege that it was his parents who put that idea into his mind, is a chilling accusation. His parents would have known better. So, what motive would his father have, as a native-born U.S. citizen, to lie to his son, and claim to be an immigrant? 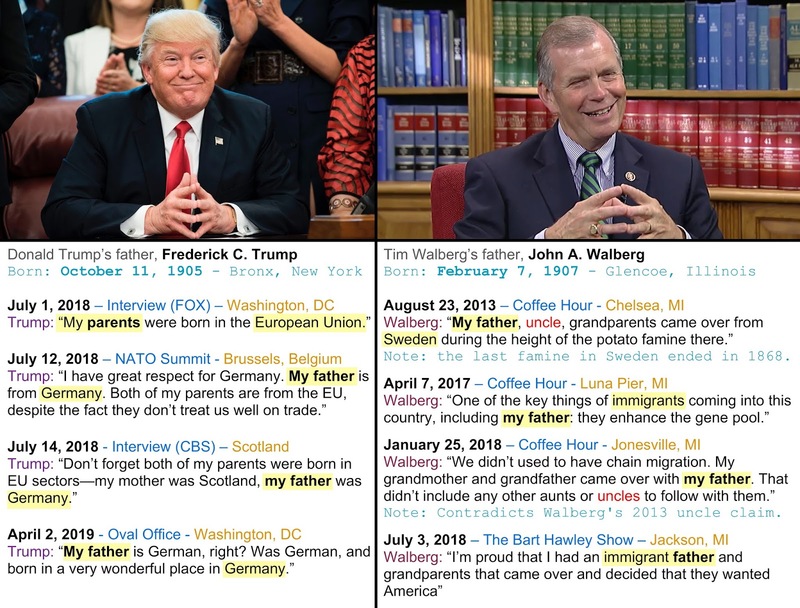 Even if his parents did mislead him, once Walberg grew into adulthood with responsibilities, he should have developed the cognitive capacity to puzzle through those contradictions and realize that his parents’ stories were wrong, then make amends, and not spread the falsehoods any further. So, I maintain that Walberg is continuing to lie, and refuses to accept any responsibility for his own actions as both a grown adult and United States Representative. Walberg claimed that he “never did the research” on this, but that too contradicts an older statement of his, describing a trip he took to Ellis Island for the purpose of researching into his immigrant grandparents. 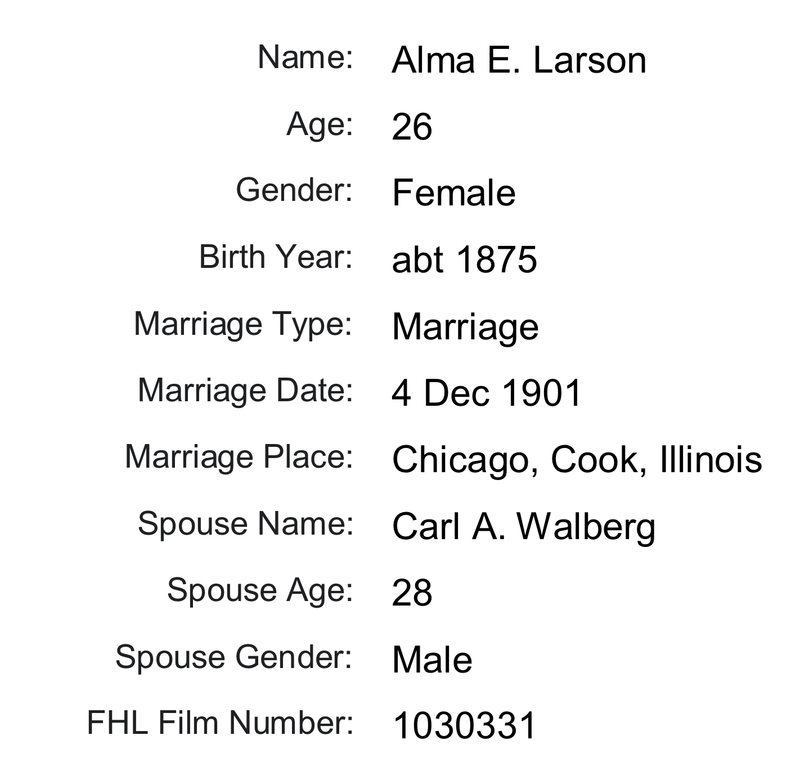 So, Walberg should have easily found on that trip to Ellis Island that his grandmother was only 13 years old when she arrived in 1889, which was 18 years before his father was born. 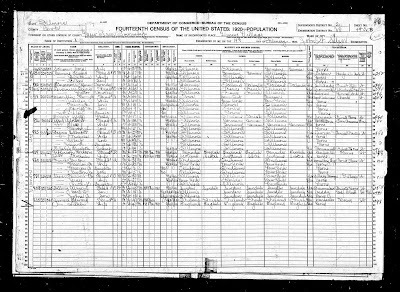 “my grandmother came over from Sweden… in 1889, uh, with my grandfather” When Tim Walberg did that research at Ellis Island, he would have seen on the manifests that his grandfather’s name was not there with his grandmother’s name. 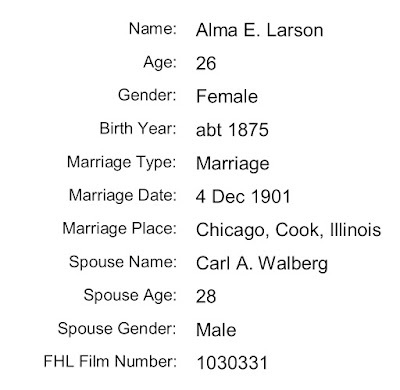 Cook County records, in Illinois show that she did not marry Walberg’s grandfather until in 1901, 12 years after she arrived. 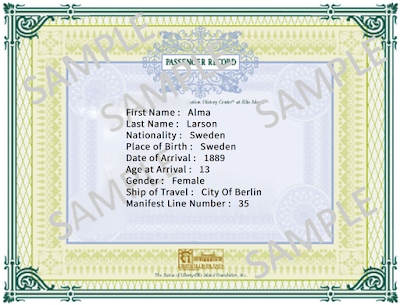 My fellow constituent and I have not found any record of Walberg’s grandfather arriving through Ellis Island. 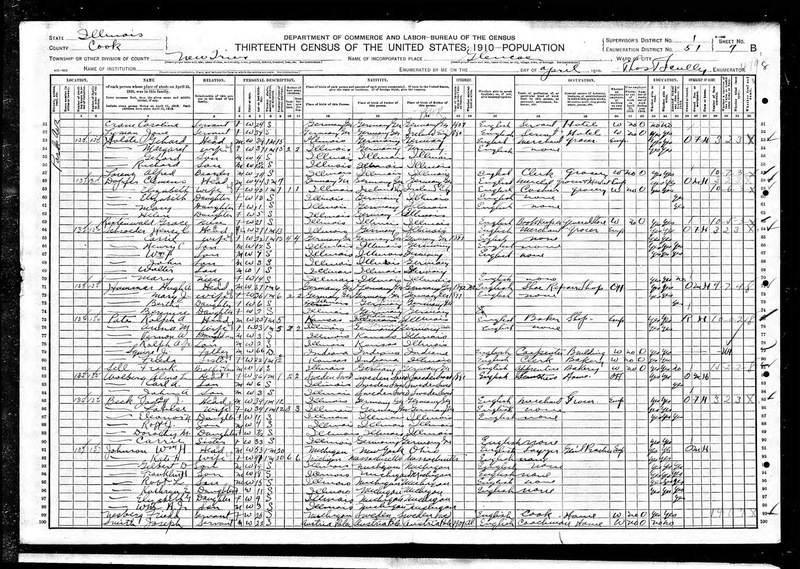 I still do not know where, when, or how Walberg’s grandfather, Carl A. Walberg arrived to the United States. More credit is owed to the two trusting constituents at the Manchester Coffee Hour who both said, “we’re all in the same boat”, about not knowing their family’s history. They deserve more credit than Walberg does because they are open and honest about the fact. Their honesty stands in contrast our Representative’s. Walberg’s boat is full of splinters and holes. Those two constituents deserve a better boat. “But my ancestors came over legally, through Ellis Island. They signed the guest book.” I never determined the legality of how Walberg’s grandparents came over, but there are a lot of the problems with the way that they signed “the guest book”. 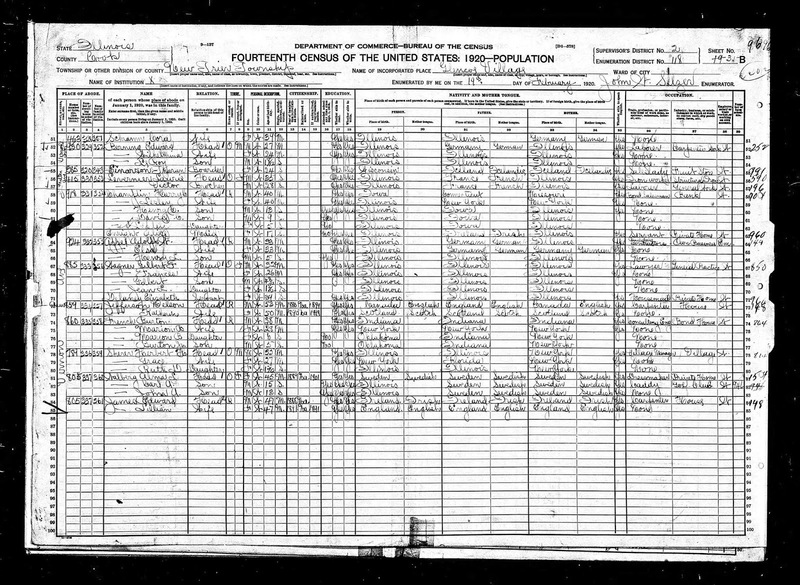 One of the reasons I only showed the 1920 Census in the last report, was because it is the only Census that matches the Ellis Island manifest. 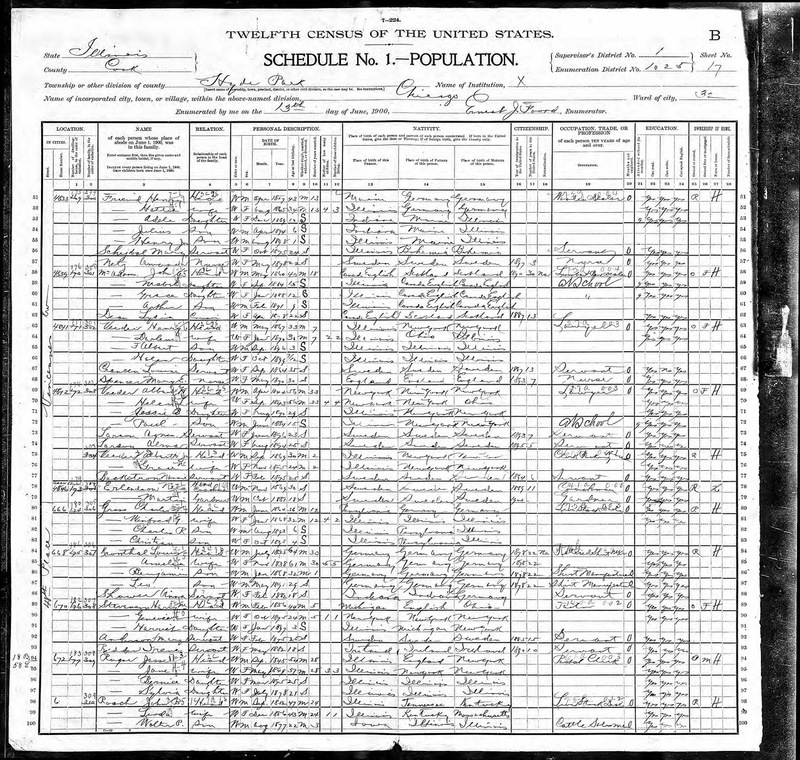 Over time, the census ledgers show a seven-year span between the years that Walberg’s grandmother, Alma arrived: 1889 – 1895. 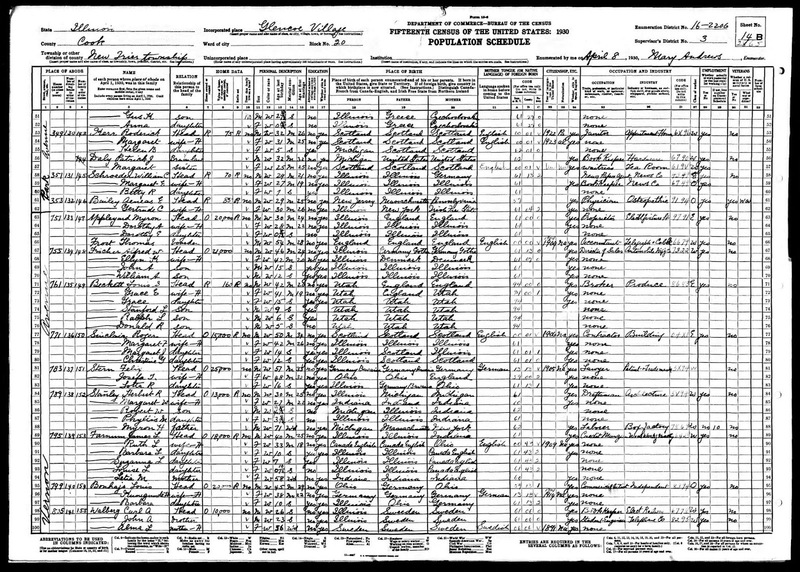 Walberg’s grandmother was double-counted in the 1900 Census. 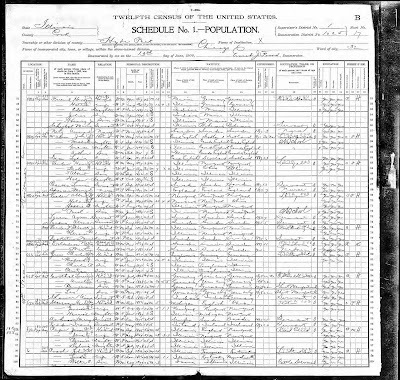 The ledger from June 13, 1900, seems to account for a residence that Alma shared with her sister, Agnes, and the ledger from June 23, 1900 was her employer, where she also lived. By that year, she had been in the country for 11 years, but the two ledgers say that she had been in the country for five, and eight years. The reason why she and her employer might have falsified how long she had been in the country was for fear of penalty, if she had overstayed her visa. 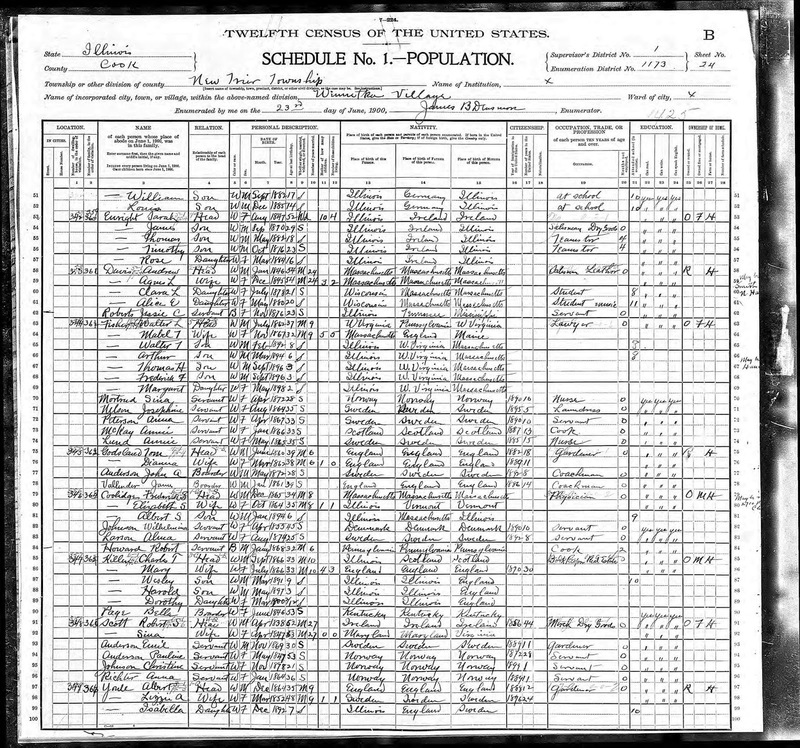 The 1920 ledger says that she became a naturalized citizen in 1901, but in 1910, she did not declare being a naturalized citizen yet. 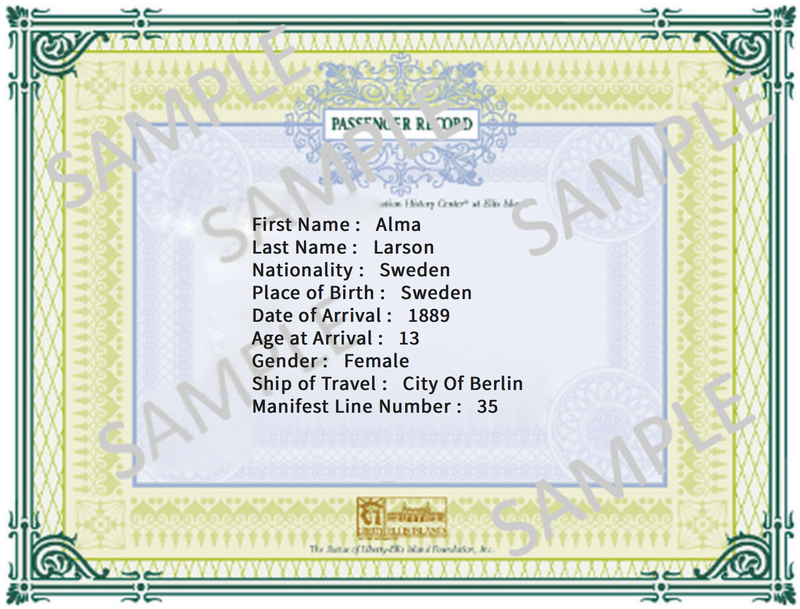 We have not found any naturalization records for her. I have not drawn any conclusions about that particular discrepancy yet. However, these multitude of discrepancies across the “guest book(s)” might be proof that she was not being lawful. 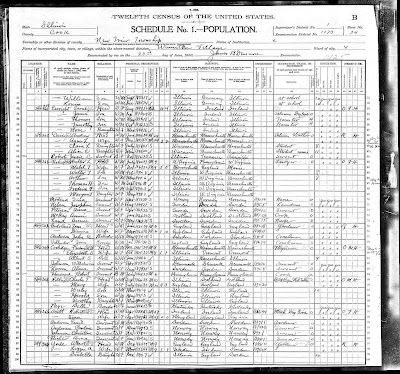 If Walberg’s grandmother knowingly gave false information to the U.S. Census then that in itself was illegal, and the census is evidence of it. It would make her, in another pejorative term that Walberg uses frequently: “an illegal”. Walberg has frequently claimed that his immigrant ancestors arrived with ready trade skills, “They came over with a trade”. 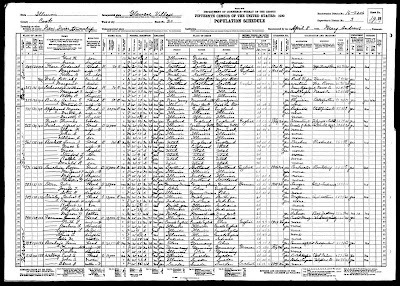 The 1900 census ledgers show that Walberg’s grandmother’s occupation was, “Servant”. Domestic service is a common job fulfilled by migrants to our country today [And Trump’s homes and resorts]. Walberg’s grandmother was a 13-year old child when she sought entry to the U.S. port. Walberg keeps attempting to distinguish the way his family migrated to the United States from the way other migrants arrive here. 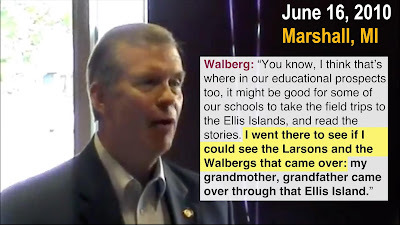 It is false for Walberg to make his family sound more elite, and more skilled than today’s migrant families who also seek entry at U.S. ports. The iconic photo from last November, shows asylum seekers fleeing from tear gas fired at them by U.S. border agents at the Otay Mesa port of entry. 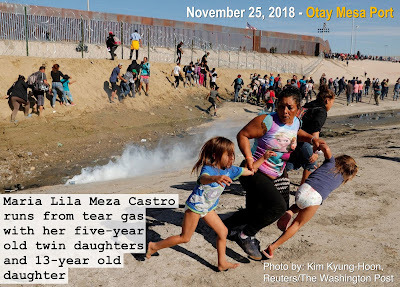 One of the girls running from the tear gas with her mother was13-years old, the same age that Walberg’s grandmother was when she too sought entry at a U.S. port. Since that incident in November, U.S. border agents have continued to launch tear gas at migrants across the border, in 2019. “It wasn’t the issue of whether my father, uh, just because he was either born here after my grandmother and grandfather came, or was born before. That doesn’t make any difference.”- That doesn’t make any difference?!! Then why has Walberg refused to support a pathway to citizenship for Dreamers and people with DACA statuses? 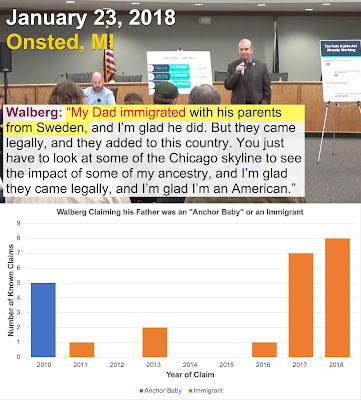 In 2018, Walberg even referred to his father as “a DACA kid”, during an interview on The Guy Gordon radio show. Since it doesn’t make any difference to Walberg about his father, then it wouldn’t make any difference where the children of any other migrants were born. “So, if an individual wants to continue stalking every word that I say, and trying to find where there might be a, uh, something he would call a lie, let him do it.”- If Walberg believes having the public’s attention on his public work is “stalking”, then he is unsuited for the work of public office. Walberg’s attitude about me took quite a turn from earlier when he said, “some day, I’ll be able to thank him”. I suspected that Walberg’s gratitude was disingenuous. “But that wasn’t a lie. That was based upon the truth that I understood.” What kind of logic is that? How can an untruth result from a truth that is understood? Walberg agrees now that his father was not an immigrant. So, we can at least conclude that part was an untruth. So, what does Walberg mean with the proposition that there was: a) an inherent “truth”; b) that he “understood”; but his spoken outcome was c) an untruth? If an understanding follows the truth, then it should remain truthful when spoken aloud. Otherwise, the signals got mixed up somewhere between Walberg’s mind and his mouth. Revised Syllogism: if there was a) the truth; and Walberg b) understood the truth; and he c) repeatedly spoke untruths;– then d) Walberg lied. Walberg objected to my characterization that he is a liar. I don’t call him that lightly. This report considered and addressed all of Walberg’s stated excuses. I considered how all of the information from the records might fit together, and possibly show that Walberg was being honest. However, none of Walberg’s excuses fit with the known facts. As Walberg said, when I find, “something he would call a lie, let him do it” - Okay, I will do it. I hope you have enjoyed reading all of the somethings today. 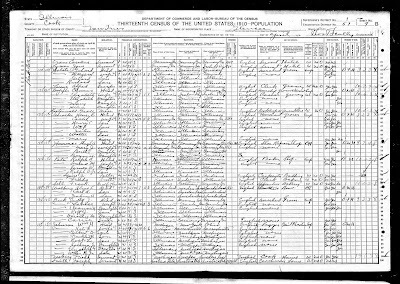 This is the 19th occurrence that I have found of Walberg claiming his father was an immigrant. I found this incident after writing the summary report for 2018. So, this is the first formal report showing this incident, with the link to the source for it, and a graph of the total occurrences that I’ve found so far. These are the full unmarked pages that were condensed for the one exhibit in my report. Hi, I’m Steven (Twitter: @TakeCareTim). I began researching my Congress member and writing him letters in 2017, hoping to appeal to him on common ground. I attended some coffee hour events, and in one case, I noticed how Walberg lied right to our faces, holding a paper, saying that he was reading us content from the CBO. That became my first investigative report here: http://www.takecaretim.com/2018/07/investigation-walberg-lies-to-us-about.html - I suspected that if Walberg would lie so brazenly to constituents about such a low-stakes thing, that lying must be an easy and common thing for him. So, I set out to find out what else he has been lying about. I only draw from public sources, which are all cited here. Also, I only investigate claims that Walberg has made in public. I don't think we should be so cynical as to expect our representatives to lie like this.